Microsoft Office may be the de facto productivity tool for millions of workers worldwide, but it’s no monolith. Rather than a single, towering smooth-black Office, there’s a whole Stonehenge of options: Office on the iPhone, on iPad, Office on Android smartphones, Office on personal computers, Windows and macOS, Office with a handful of applications, Office with fist-fulls of apps. But when you get down to it, there are really only two kinds of Office. One, labeled Office 2019, is the stand-alone suite that traces its roots back to the last century. The other, Office 365, is the subscription service that debuted in 2011. How they differ can be confusing, especially since each includes, more or less, the same applications. Here are three ways to tell these tools apart, and a look at what’s coming, based on Microsoft’s new support policies for both Office 2019 and Office 365. Of the differences between Office 2019 and Office 365, purchase plans are among the most striking. Microsoft defines the term as when “…you pay a single, up-front cost to get Office applications for one computer.” Up-front is the key adjective there; Office 2019’s entire purchase price must be laid out before receiving the software. That purchase, actually of a license to legally run the software, gives the buyer the right to use Office 2019 in perpetuity. In other words, the license has no expiration date, and users may run the suite as long as they want. Pay for Office 2019 this year and use it for the next seven years? Fine. Run it until 2030? Nothing to stop you. One-time purchases include Office Standard 2019 and Office Professional Plus 2019 (Windows) and Office Standard 2019 for Mac (macOS), the enterprise-grade SKUs available only via volume licensing; and retail packages such as Office Professional 2019 (Windows) and Office Home & Business 2019 (macOS). Office 365, the purchase method Microsoft pushes most aggressively, is a subscription service, so payments are made monthly or annually. In some rare instances, annual payments may produce savings in exchange for a commitment: Office 365 Business Premium, for example, costs $12.50 per month per user when paid in an annual lump sum ($150 per user), but $15 per month per user on a month-to-month plan ($180). All enterprise plans – from Enterprise E1 to E5, as well as ProPlus – do not offer a monthly option but require an annual commitment. A license for Office 365, then, is contingent on sustained payments. Halt the latter and the license is revoked. Restarting the payments restores the license. Office 365 plans range from one for individual consumers (Office 365 Personal) and small businesses (Office 365 Business) to educational institutions (Office 365 Education E5) and corporations (Office 365 Enterprise E3). Office 365 is also part of Microsoft 365, an even more expensive subscription. The latter comes with labels resembling those of Office 365, including Microsoft 365 Business and Microsoft 365 Enterprise E3. Although payments define one difference between Office 2019 and Office 365, Microsoft’s turn to a faster development and release pace is ultimately more important to users – and the IT professionals who support them. Think of Office 2019 as traditional software made and sold in traditional ways. That holds for servicing, too. Microsoft provides monthly security updates for Office applications, usually on the second Tuesday of each month, and also fixes non-security bugs for the first five years of the SKU’s lifecycle. But Office 2019 does not receive upgrades with new features and functionality. What you get when you buy the suite, feature-wise, is it. If you want to run a new edition, say, Office 2022 (Microsoft has only said it will do another perpetual version, not that it will be so named), you will need to pay another up-front fee to run it. Office 365, on the other hand, has a completely different servicing model. While the Office applications licensed to users through Office 365 receive the same security patches (and non-security fixes) distributed to Office 2019, they also acquire new features and functionality on a twice-a-year schedule. Those upgrades are issued first in September and March of each year as “Semi-Annual Channel (Targeted), then followed in January and July with “Semi-Annual Channel” releases. This support document explains the update channels of Office 365 ProPlus, the application bundle included in Office 365. As new features and functionality accrete, the applications evolve until, at some point, Microsoft says they are sufficiently different to warrant a new numerical moniker, such as Office 2022 or Office 2025 (if the perpetual version goes on that long). It will then package those versions into an upgraded suite for customers who continue to make one-time, up-front purchases. Neither Office 2019 or Office 365 is truly cloud-based, but both are able to connect with Microsoft’s cloud services (and to a very limited extent, some third-party services). Currently, both the applications awarded in a one-time purchase of Office 2019 and those installed as part of an Office 365 subscription can connect with services such as Microsoft-hosted Exchange, OneDrive storage and Skype for Business. However, in April 2017 Microsoft announced a major change in the rights of perpetual Office. 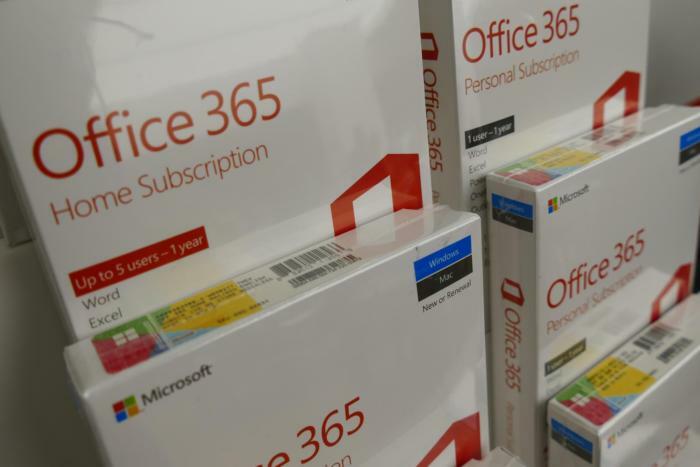 Office 2019’s applications – acquired through an up-front purchase of the suite – must be in their “Mainstream” support period, the first five years of the guaranteed lifecycle, to connect with Microsoft’s cloud services. The change clearly took aim at customers who mixed cloud services with traditional one-time payment software, because it effectively halved the time the latter could be used in those organizations. At the same time, the post-2023 rule advanced Microsoft’s efforts to push business customers toward subscriptions. The company hasn’t been shy about saying that Office 365 is, in the end, inevitable. “Most of our cloud-powered innovation is coming to Office 365 and Microsoft 365. However, we recognize that some customers can’t move to the cloud in the near term. We want to support all our customers in their journey to the cloud, at the pace that makes the most sense to them,” Microsoft said. Applications obtained from an Office 365 subscription will never have a connect cutoff date. On Feb. 1, 2018, Microsoft revealed changes in support for Office 2019, even though the “one-time purchase” product had not yet been released. The company also previewed a shape-shift in support for Office 365, specifically the ProPlus component – the desktop productivity applications – slated to take effect in January 2020. Microsoft plans to slash support for Office 2019. “Office 2019 will provide 5 years of mainstream support and approximately 2 years of extended support,” wrote Jared Spataro, the general manager for Office, in a Feb. 1, 2018, post to a company blog. “This is … to align with the support period for Office 2016. Extended support will end 10/14/2025.” As Spataro implied, Office 2016’s support also will come to a stop Oct. 14, 2025. Office 2016 is to get 10 years of support (five in the “Mainstream” support stretch, five in “Extended”). Office 2019 will get just 7, representing a decrease of 30%. 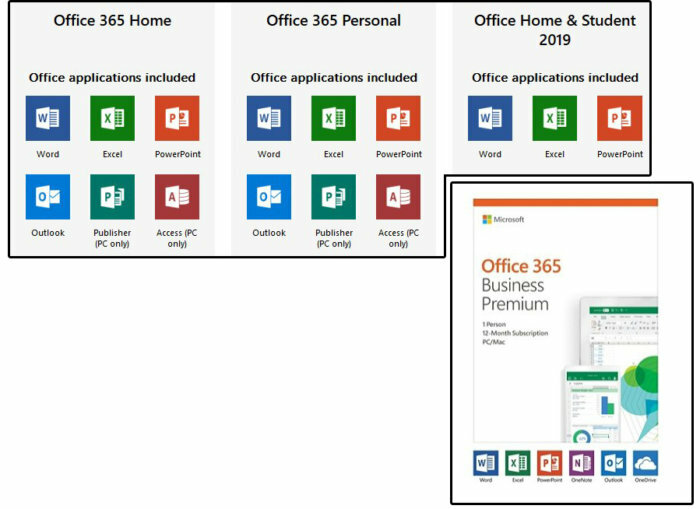 Because Office 2019’s Mainstream support will end Oct. 10, 2023, that will be the cut-off for connecting Office 2019’s applications to Microsoft’s cloud services (see “How Office hooks up with cloud services” above). Spataro also dissed perpetual Office more explicitly. “It has become imperative to move our software to a more modern cadence,” he wrote, implying that years of support for one-time payment software was either onerous for Microsoft or put customers at risk (or both). Along with the reduction of the support timeline, Microsoft also announced that Office 2019 would be supported only on Windows 10. Even though Windows 7 has until Jan 14, 2020, before it’s retired, and Windows 8.1 will have over four years remaining, Office 2019 will not be supported on either. Meanwhile, Microsoft initially vowed to curtail support for Office 365’s ProPlus, too. A year ago, Microsoft said that after Jan. 14, 2020, only Windows 10 would be supported for running Office 365 ProPlus; that date is the head-to-assisted-living deadline for Windows 7. Windows 8.1 was also to fall off the ProPlus supported list, as was the Windows 10 LTSC (Long-term Servicing Channel) version. Again, Microsoft blinked. In September, the company changed its mind about cutting off Windows 8.1’s access to Office 365 ProPlus. The no-support rule for Windows 10 LTSC remained in place, however.